You are on your bicycle, you get hit, you get hurt. How do you prove your case? As Syracuse bicycle accident lawyers, we’ll get to that answer soon. But first what you have to understand about bicycle cases is essentially this: Under New York State law, a bicycle is a “vehicle” just like a car is a vehicle. And just like a car driver or other vehicle operator, a bicyclist has a duty to follow the general rules of the road as spelled out in New York's Vehicle and Traffic Law. That means that a bicyclist is required to stop at stop signs, at traffic lights, and to signal turns (hand signals). So one thing that helps you prove your case is to be the kind of cyclist who follows the rules of the road. If so, your lawyer should be able to prove you did just that. But a bicyclist in New York has additional rules he or she must obey not applicable to other types of vehicles. For example, he must stay as far right in the roadway as possible, and even use the shoulder if possible. But if the shoulder is not reasonably safe to use because, for example, it is poorly maintained and strewn with potholes, then the bicyclist need not stay on the shoulder. Here’s another example of a New York rule for cyclists: A pair of bicyclists can ride side by side, but if a car comes from behind, they must convert to single file. When bicycle accident lawyers such as those at Michaels & Smolak investigate bike accidents in Syracuse or any other area of New York State, they gather all possible evidence to show that the injured cyclist was doing everything he or she was supposed to do. If the cyclist was doing everything right, then the case is strong because it's almost certainly 100% the driver of the car’s fault. But unfortunately it’s usually not so simple. The Syracuse bicycle injury attorneys at Michaels & Smolak have handled so many bike accident cases that they have discerned a very clear pattern: A motorists who strike cyclists almost always try to blame the cyclist for something they did. The motorist will almost never accept full responsibility. They'll often say that “the bike came out of nowhere” or “he just cut across in front of me”. The fact of the matter is that motorists often don’t “see” bicyclist even though they are in plain sight and are following all the rules of the road. They therefore “assume” that the cyclist “came out of nowhere”. That’s because they are not looking for cyclists, they are instead watching only for cars and other larger motor vehicles. But that’s no excuse! New York law requires that car, bus and truck drivers look for and see bicycles. So “I didn’t see him” or “he came out of nowhere” are bad excuses. 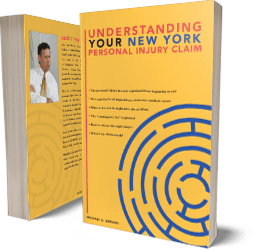 If you are injured in a bicycle accident in Syracuse or elsewhere in New York, make sure your bicycle accident lawyer knows how to pick a jury for bike accident cases. He or she has to be very careful to weed out those potential jury members who are pre-disposed to blaming the cyclist. Your lawyer has to know how to talk to the jury, how to ask them questions, because most people don't like bicyclists. They tend to blame them for the accident. That’s because most people drive cars and not bikes so they sympathize with the car driver not the cyclist. They tend to think, “gee, I have seen cyclists who just aren’t watching out for us drivers, and yes, they just “come out of nowhere” sometimes, and it’s their fault if they get hit!”. But a competent Bicycle accident lawyer in Syracuse or elsewhere in New York has to fight those prejudices. Experienced bicycle accident lawyers have ways to eliminate the jurors who have prejudices against cyclists. We at Michaels & Smolak know how to do it. Contact us for a free consultation about your case.